WASHINGTON (CNS) — Declaring that the persecution of Catholics and other Christians in Iraq and the Middle East is genocide must be followed by action, said Bishop Francis Y. Kalabat of the Eparchy of St. Thomas the Apostle, based the northern Detroit suburb of Southfield. 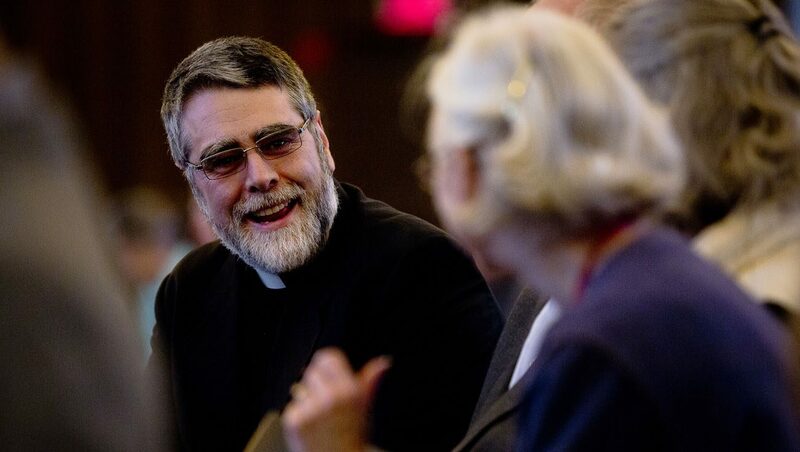 The bishop made his remarks during a Nov. 17 talk at The Catholic University of America and in an interview with the Catholic Standard, newspaper of the Washington Archdiocese. In March, U.S. Secretary of State John Kerry said that atrocities carried out by the Islamic State group against Yezidis, Christians, Shiite Muslims and other minorities were genocide, the first U.S. declaration of genocide since Sudanese actions in Darfur in 2004. However, the genocide finding does not legally obligate the U.S. to take any particular action. Bishop Kalabat has headed the Michigan-based eparchy since 2014. Its jurisdiction includes Chaldean Catholic parishes in the Detroit area, in Illinois and several Eastern states. The Chaldean Catholic community in the United States is one of the largest in the world. The Chaldean Catholic Church — headed by Chaldean Patriarch Louis Sako of Baghdad — is one of 22 Eastern Catholic churches. Its liturgies are celebrated in Aramaic, the language of Jesus. It is considered one of the oldest continuous Christian communities in the world. While only about 6 percent of Iraqis are Christians, 80 percent of those Christians are Chaldean Catholics. Bishop Kalabat’s eparchy has 10 parishes in the Detroit metropolitan area. Many immigrants from the Middle East have been drawn to Detroit to work in the auto industry. The Arab Spring — a 2011 series of protests and uprisings in several Middle Eastern countries — resulted in political power being gained by groups such as the Islamic State of Iraq and Syria, or ISIS, and the Society of the Muslim Brothers, also known as the Muslim Brotherhood. Both groups have led a campaign against Christians, including murder, beheadings and rapes and looting and destroying churches. “If that is the spring, I’d hate to see the winter,” Bishop Kalabat said. The systematic persecution of Christian communities in the Middle East “is the purposeful destruction of a culture, a faith, a human history and a human person,” the bishop said. He said daily life in Iraq is marked by a lack of trust in the government, bombings and other acts of terrorism that unsettle and destabilize the population, lack of jobs and educational opportunities and harsh living conditions such as limited electrical power. He also noted that some Catholic communities in Iraq have not had Mass said for them for as long as seven years. “If — God forbid — every Christian left Iraq, what would happen? Let’s pray and let’s work and let’s rebuild so that doesn’t happen,” he said. Szczepanowski is on the staff of the Catholic Standard, newspaper of the Archdiocese of Washington.